oustaou d'aqui in the Provençal language means « sweet home ». 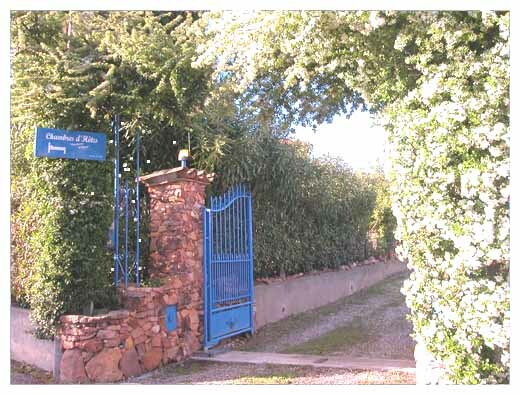 It is located in the Var between Provence and French Riviera, right in the middle of the vineyards « Côte de Provence » and at the edge of the Massif des Maures which offers 200 square miles of wild hinterlands along the Mediterranean Sea. This is a recommended place to stay if you want more easily discover the region on a daily basis programme depending on your feeling. You will be in effect at equal distances from Provence, French Riviera, Southern Alps and Gulf of Saint-Tropez. The large selection of attractions in the region is at your fingertips ... daily ! Whether you are keen of Culture, in love with Southern French food, hikers, cyclists or amateur of any kind of outdoor sports, you are going to enjoy your stay in all seasons. 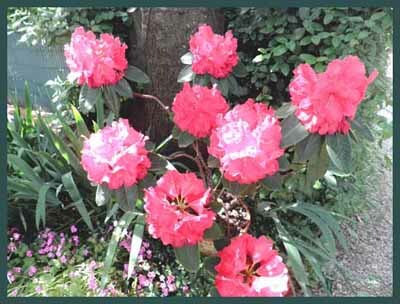 Basically, summer time is synonymous with sea and heat, mountain and coolness, or both ! 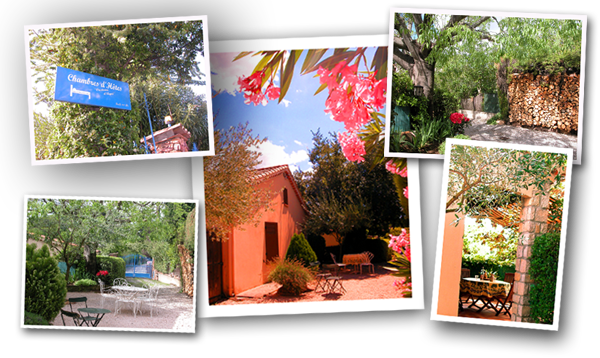 The Villa is located in a dead end on the edge of the village « Les Arcs sur Argens ». The place is quiet althrough not isolated from the rest of the world ! Many activities are possible with or without the car that you can park here and forget. Besides, if you want to travel light and peace of mind, the train is a great idea to come and stay. The path between your room and the all trains (TER, intervilles, intercitées and TGV) railway station Les Arcs sur Argens - Draguignan is covered in five minutes easy walking. This intermodal station (train/bus) offers many possibilities of tours: you can get on the train to visit Marseille or enjoy a trip to Italy via Cannes and Nice. You can also take a bus for excursion across the Var area with the « VarLib » ticket. A bicycle storage area is available for cyclists together with tools for service and repair. You can find online some Tips for cyclists touring Provence, French Riviera and hinterland	. 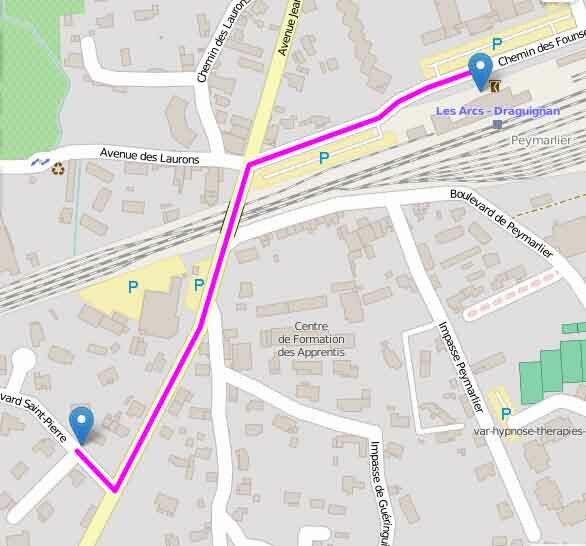 Les Arcs - bicycle routes nearby may also help. Maps and documentation on good cycling practices in Provence, Côte d'Azur and Southern Alps are available and we can give suggestion to plan a route (weather forecast, traffic conditions, road conditions...). 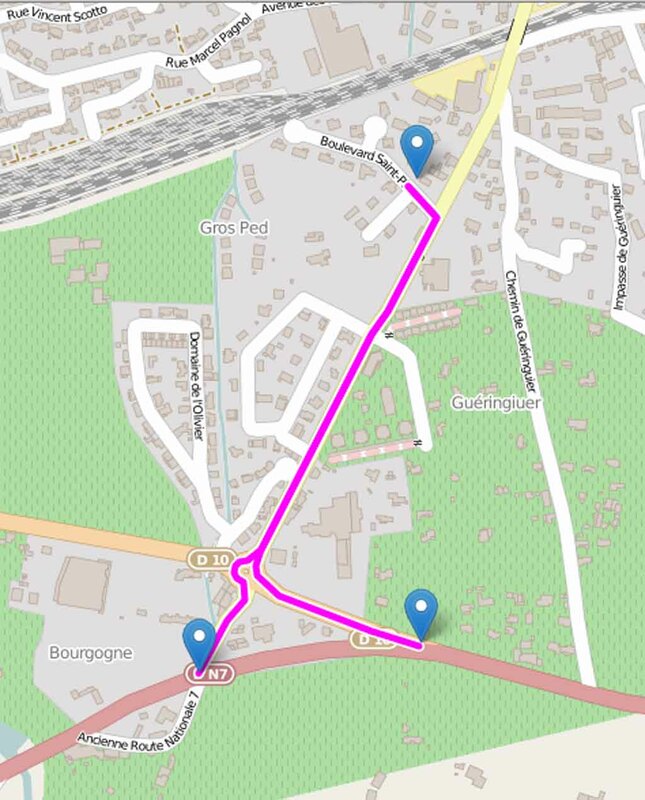 Information on local bicycle routes and greenways are also available online: the Vigne à Vélo is famous for a relax ride or daily commuting. The stretch Vigne à Vélo Les Arcs - Sainte Roseline (section 2 - 5 km) is delightful - endpoint can be reached in 3 minutes. L'oustaou d'Aqui, euro-cycling-enthusiasts, is also a stopover on the EuroVelo 8. Cyclists on this EuroVelo route are welcome. Long-distance cyclists can find information and pictures about other EuroVelo in France , and especially about the EuroVelo 17 that crosses the Eurovélo 8 further west of the region. your room to the beach: 18 minutes trip only ! Bicycle will also be very efficient and pleasant for travelling, even for beginners. It is the reason why we have a Bicycle Rentals service. The tab Things to Do in the top black main menu strip offers a good illustration of this point. Finally, if you decide to relax, the TER (Regional Express Train) is going to take you toFréjus or Saint Raphaël within 13mn. You will find there a large choice of beaches. (*) Enjoy your stay ! exit n°36 (Le Muy, Les Arcs sur Argens, St-Tropez) arriving from NICE. Exit Les Arcs sur Argens centre. Railway station SNCF les Arcs-Draguignan (TGV and all other trains).Take on your left hand side when you get out of the railway station for 250m until you reach the traffic lights. Then left onto the bridge over the railway down for another 250m.Turn right in the Boulevard Saint Pierre, cover 30 metres up to the dodgeblue gate.